It’s an overcast Friday and autumn is in full swing. Where I live we’ve passed the Glorious Autumn phase and are into the Bare Branches and Steely Clouds stage, but I want to bring the glory forward as much as possible. 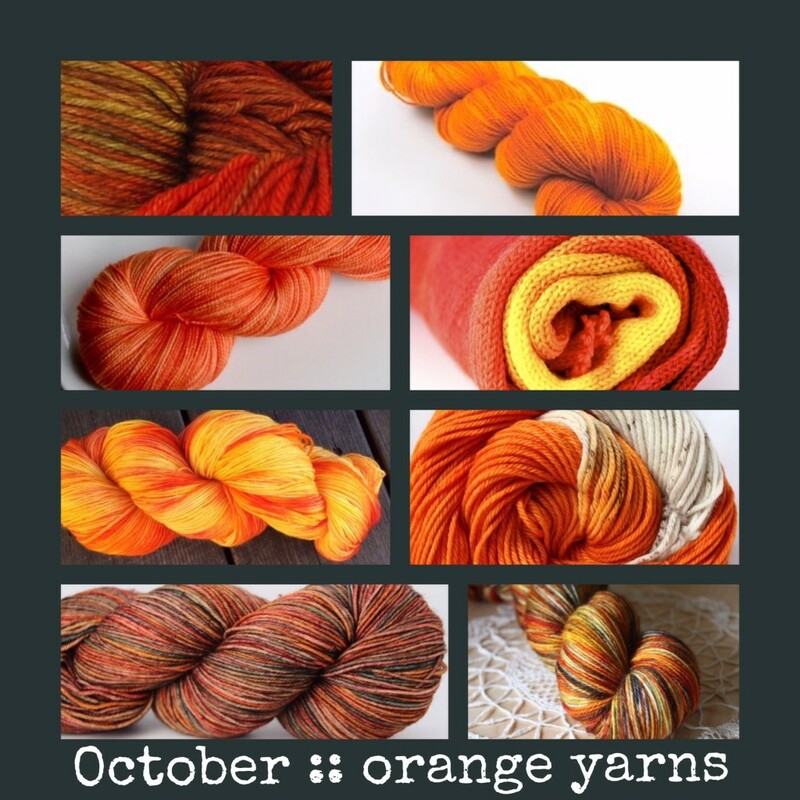 I’ve been looking at orange yarns and getting so excited by the energy and warmth they convey. I’m off to light a candle or two to bring a little more orange to the grey day. Do you have a few tricks for warming up grey days? Any orange yarns I should know about? If you need some, let me know, I can have them shipped to your family. OooOoo, there are some beauties there! Tandoori Masala is pretty stunning. Love that! Now I’m kinda wishing I still liked to knit. Oh, that merry fallmas! Love the warmth at this time of year. You’ve found some tempting combinations.